Tontine Carpet One has over 100 different area rugs available, in-stock! Tontine Carpet One in West Seneca, New York offers an exclusive selection for area rugs. Among many name brands we carry, our top selling area rugs are Karastan and Surya. Listed below we have pricing and a few images of our showroom as well as a couple of examples. Offering legendary style and sophistication are Karastan Area Rugs. 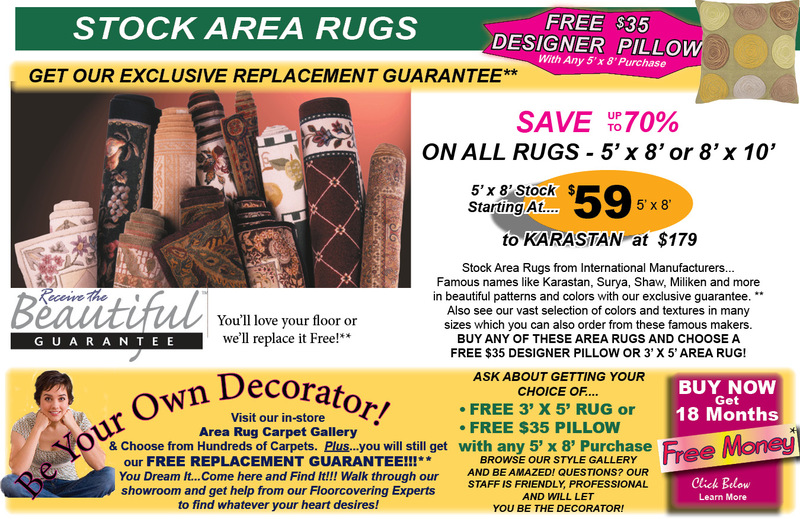 Whether you're looking for a contemporary fit or a traditional theme, Karastan offers one-of-a-kind style and fine craftsmanship since 1928! From classic chic with bold colors to calm, neutral options, Surya area rugs are a great, mid-range area rug to protect your hard surface flooring plus add to your style or theme. We carry a variety of samples.